Robb College has a reputation as a college of excellence for its students, and we aim to build on that reputation. 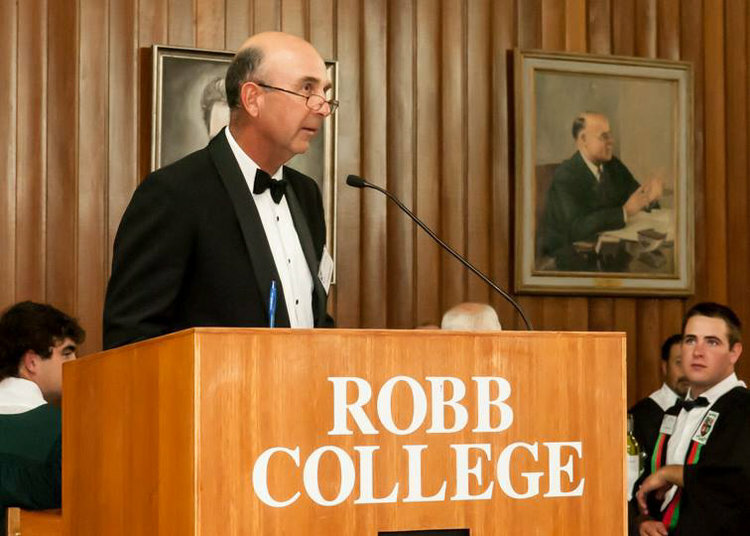 Robb College has a proud history of student involvement in College life and a history that extends for over 50 years. We are known for supporting our mates and lending a hand, and the Senior Common Room is a part of that support. Our purpose on the Senior Common Room is also to provide a link between your College life, the University and the wider community. We are a diverse group of people, who range in age from 23 to 83. We have many skills and attributes. We havemutual respect for our diversity of interests and academic disciplines. We aim to be inclusive and to help you, reach your potential. We appreciate that life is about individual choices, and we hope, you make wise choices. These are some characteristics that we encourage you to take on board. So what do I mean by excellence? Excellence is striving to be your best in life. A great example of this is the Little Athletics model, where kids learn to accept their ability, record their personal best performances, set some goals to improve themselves and work hard to achieve these goals. In the process, kids learn that to achieve success in life, an appropriate ‘ can do ‘ attitude is everything. At Robb College you will learn many things. Communal living, for example, requires tolerance, patience and respect towards others. Remember, we are one college, working together to provide opportunities for your personal development, not just academically, but your whole life interests. So, if you want to get involved in the Armidale community and you need some contacts, please get in touch with us. Our beliefs influence our behaviour, and the way we act and react towards others will determine our character. The idea of being kind and thoughtful to your mates will win you more friends and get you a lot further in life, than any inappropriate action. So we hope you enjoy your time at Robb College, not just academically, but the whole life experiences that UNE, Armidale and the district have to offer. We encourage you to be your best, and to help your mates be their best. So we hope that you can help make Robb College a College of excellence.